From February 13th through February 17th, the Palm Beach Jewelry, Art & Antique Show will be taking place at the Palm Beach County Convention Center (650 Okeechobee Boulevard, West Palm Beach). Said to be the largest show of its kind in the country, exhibitors from around the world will be showcasing their fine art, jewelry, furniture, and sculpture for all to enjoy. In addition to the hundreds of exhibits, there will be a lecture series featuring some of the top interior designers. The prestigious annual event brings out art connoisseurs, private collectors, museum curators, and high-end interior designers from south Florida, across the United States, and even internationally. Through March 29th, the Palm Beach International Equestrian Center (3400 Equestrian Club Drive, Wellington) is presenting the Winter Equestrian Festival. This series of events brings out the finest riders and horses, showcasing their expert skills in show jumping and dressage. The best riders of their class — Olympians, adult amateurs, juniors, and children — compete during these events. The Winter Equestrian Festival is among the largest and longest running horse shows in the world. It is polo season at the International Polo Club Palm Beach through April 19th. Polo, the sport of kings, returns to south Florida at the International Polo Club Palm Beach (3667 120th Ave. South, Wellington) for another competitive season. The season will conclude with the 111th U.S. Open Polo Championship in mid-April. 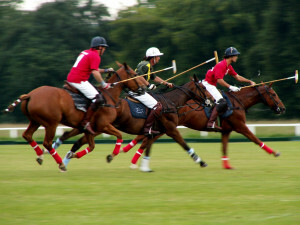 Many of the highest skilled polo players on the planet take part in this winter’s competitions. Along with observing the competitions on the field on Sundays from the elegant facility, attendees may also enjoy a DJ, live TV feed of the matches, complimentary beverages, hors d’oeuvres, a full brunch, and other treats. Whether you are thinking about buying a second home in the area, or need skilled representation to sell your home during the winter, contact Norka Parodi and The Norka Group — South Florida’s real estate experts — at 561.571.6489.